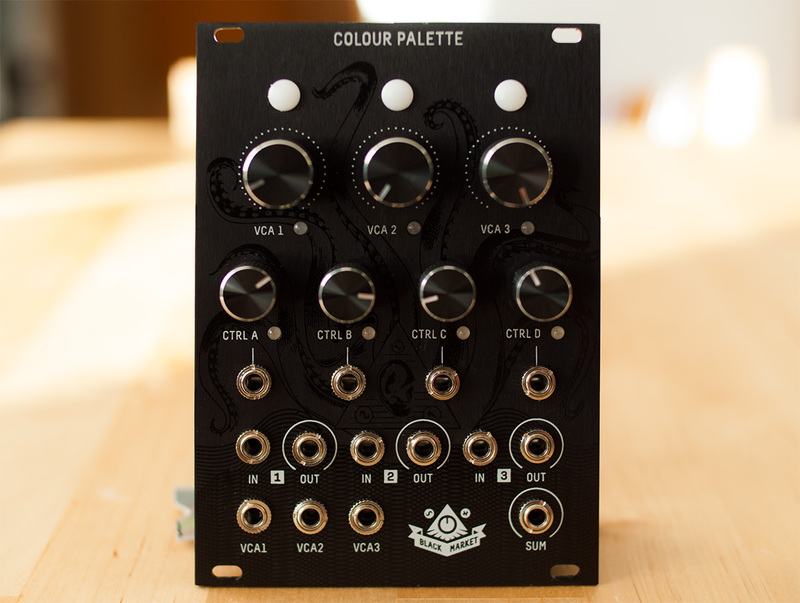 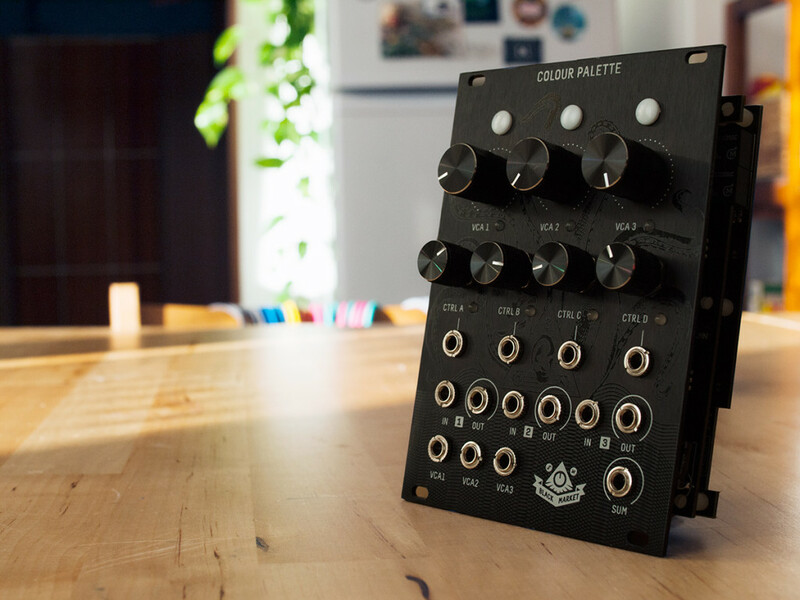 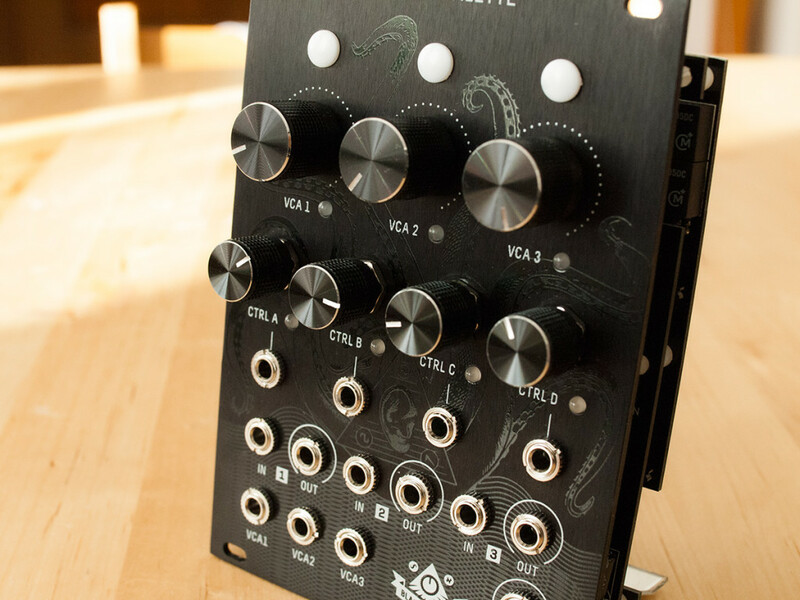 The Colour Palette from Black Market Modular is based on the homonymous 500-series module from DIYRE. 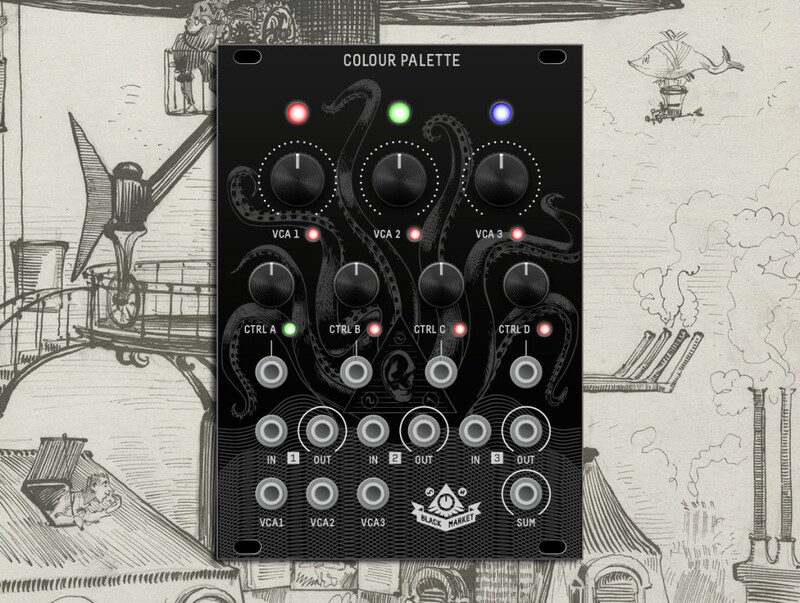 The concept is very simple, but extremely powerful: the module is a host for up to 3 plug-in cards (called Colours), these cards can be effects or other signal processing circuits and each has an input volume controlled by a VCA and 2 assignable CVs. 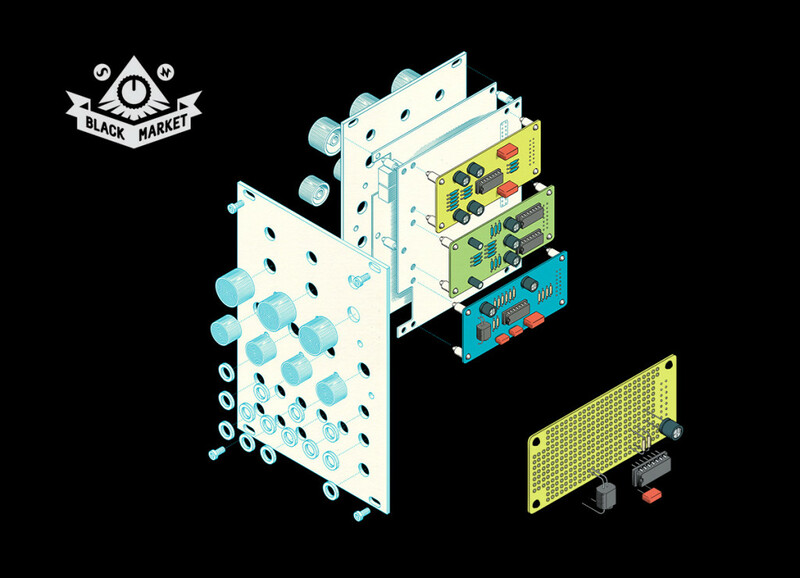 We designed the Black Market Modular logo, the panel artwork and interface for the module and various graphics for the manual and the bundled Colours. 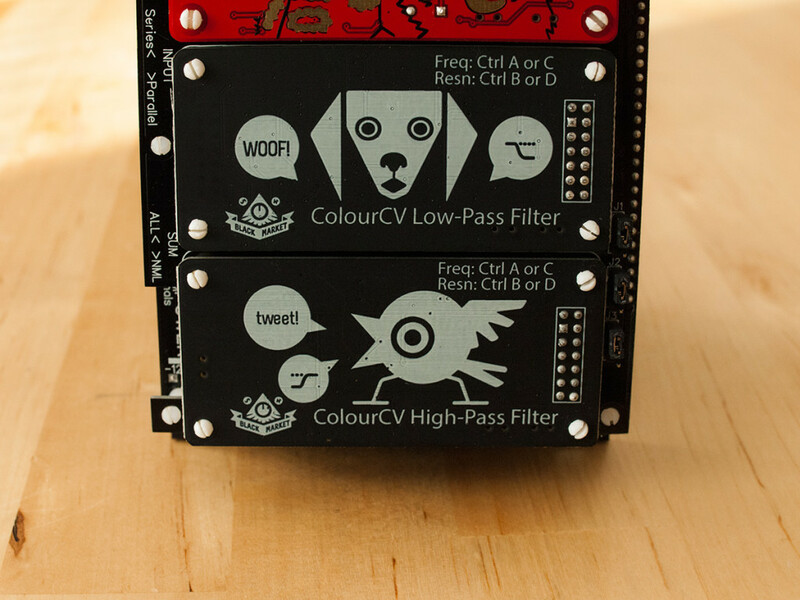 The illustration on the panel was silkscreened using glossy black ink on brushed black anodised aluminium for a subtle visual effect.